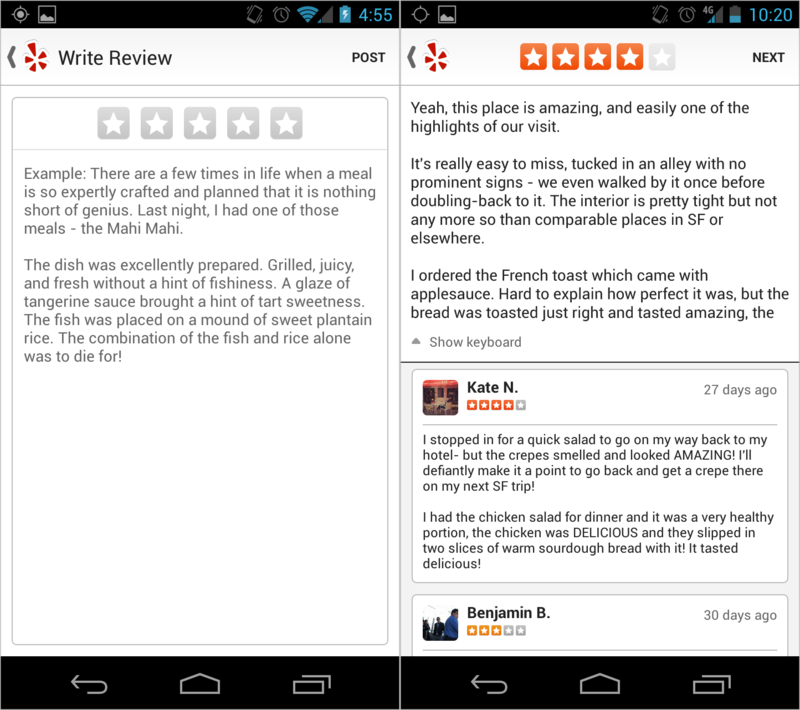 Yelp today updated its Android app with the ability to post reviews while on the go. You can download the new version now directly from Google Play. The stars have aligned for this release! Seriously, we know there’s been a lot of antici……pation for this one: starting today, you can add reviews from your phone! Tap the “add review” button from any business page and away you go. Photos taken at any business are now shown directly underneath its accompanying review. Give your photos some more exposure! Quickly access photos on any business page by pulling down from the top of the screen! It’s like magic, only better. In August, Yelp announced reviews had arrive on the iPhone. 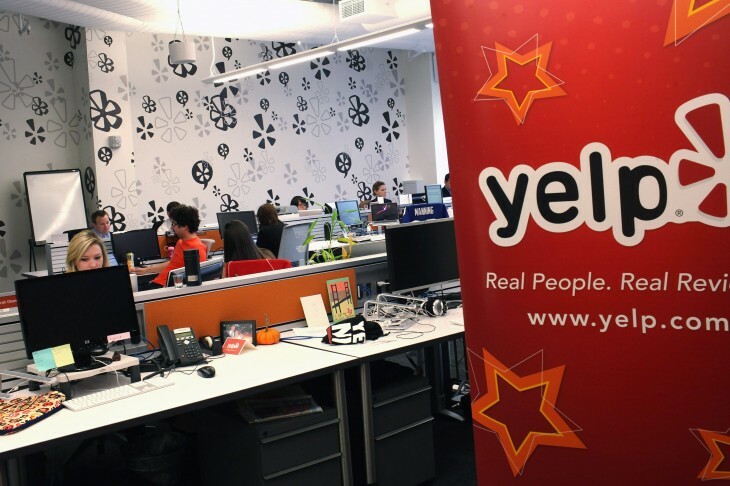 With the Android rollout today, Yelp says star ratings for reviews written on mobile have so far closely mirrored what it sees on the desktop site, with about 80 percent of reviews featuring 3, 4, and 5 stars. Last quarter, Yelp’s apps saw an average of nearly 10.4 million unique mobile devices per month.